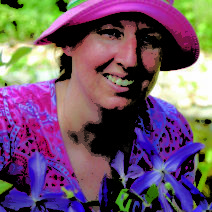 She is currently the Green Media columnist for the Mid-Atlantic Grower newspaper, where she does a great deal of hand-holding and coaxing to get independent garden centers, plant breeders, and other horticultural businesses to join the social media revolution and maximize their online brands. She also edits the quarterly Water Garden Journal, the official publication of the International Waterlily & Water Gardening Society. 4, and WAMU radio in Washington, DC.